Legoland Malaysia, the first Legoland theme park in Asia was officially opened on 15 September 2012 and has drawn throngs of people there. Located at Nusajaya, Johor, the world number sixth Legoland is just minutes from Singapore CIQ (Customs, Immigration & Quarantine Complex) 2nd Link. 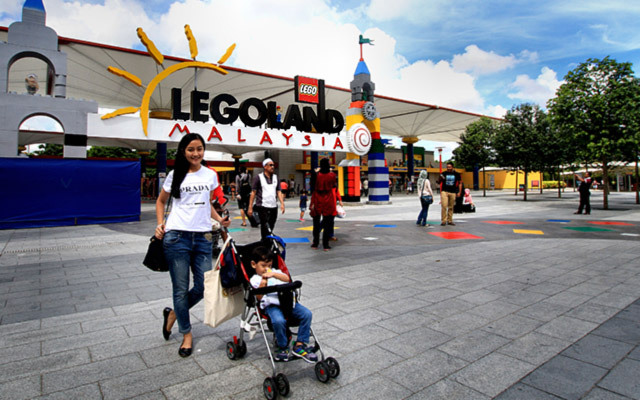 After the hype of Johor Premium Outlets, Legoland Malaysia is believe to be the next popular attraction that will lure many Singaporeans to spending a weekend there. The family-friendly theme park is broken down into seven areas, namely, Miniland, The Beginning, Imagination, LEGO Technic, LEGO Kingdom, Land of Adventure, and LEGO City. Sprawling over 30 hectares, the park is put together with more than 50 million LEGO bricks. Hands down, Miniland is definitely the highlight of the theme park. It features miniature models of Asian landmarks such as Angkor Wat, Petronas Twin Towers, the Merlion and the Singapore Flyer. Legoland Johor boasts more than 40 interesting rides, with popular rides like the Aquazone Wave Racer, the Technic Twister, and the Dragon. The Dragon’s roller coaster can track the speed up to 60km/h, so it’s definitely not meant for someone with a faint heart. On a different note, kids can enjoy the Dragon’s Apprentice, a smaller and less intense version of twists and turns. Children are also likely to have an enjoyable and memorable time at the driving school where they get to control Legoland’s traffic. 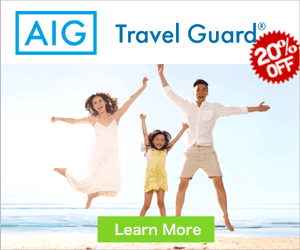 The fastest and most convenient way to go from Singapore to Legoland is to book your own private transfer via Klook. The private car, usually it’s a MPV, is large enough to carry 7 people plus 3 medium sized luggage and is suitable for a small group or a family outing. The one-way transfer costs MYR365. Alternatively, you can take the public buses to save cost. If one is taking a bus to Johor Bahru with their sights set on Legoland Johor Malaysia, the easiest way is to travel via Causeway Link. The distinctive smiling bus provides comfort and convenience to its commuters. There are daily express bus services from Singapore Flyer(WTS), Golden Mile Complex(Transtar), Lavender MRT station(Superior) and Big Box Jurong East(WTS) to Legoland. One-way bus fares range between SGD11 and SGD13 and can be booked online via Easybook.com or BusOnlineTicket.com. To avoid queues, public are advised to purchase the tickets online from www.legoland.com.my. To save cost, book the 1-Day Pass at least 7 days in advance. Lelogand Malaysia is open almost every day from 10am-6 pm. However, do bear in mind that longer opening hours are only available on Saturdays and Sundays, school and public holidays. All attractions except Miniland will be closed one hour earlier to the amusement park closing time. Likewise, restaurant and shop hours may differ depending on business needs. However, in terms of fans, Legoland Malaysia may face a possible rival- Hello Kitty Land Town, set to open in 26 October 2012. Puteri Harbour Family Theme Park (aka Sanrio Hello Kitty Town) is only 10 minutes away from Legoland Johor Malaysia and is predicted to bring even more crowds to Nusajaya Johor. No surprise there since adjoining Hello Kitty Land are none other than Thomas and Friends, Barney, Bob the builder, Angelina Ballerina and Pinggu. It’s not difficult to predict that from October onwards, hotels near Legoland Malaysia are likely to be in hot demand and it’s advisable to book early to get a good hotel deal. Where are the Hotels near JPO? How to go to Johor Premium Outlet by Bus?